Chimera violets are as easy to grow as any others, but they cannot be propagated from leaves--only suckers can have flowers that are true to the original. If propagated from leaves, the plants that result will lack the central stripes on the petals. Chimera violets do not pass this characteristic to their seedlings, so chimera violets cannot be bred for--they were originally found as spontaneous mutations among other violets and then propagated vegetatively. 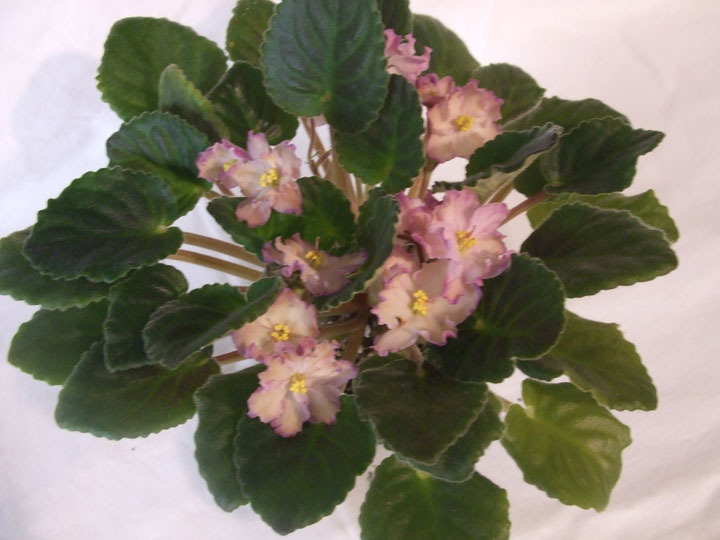 Never buy a chimera violet unless it is in bloom, as all means of propagation for these plants can result in some plants that are not true. That is why they cost more.